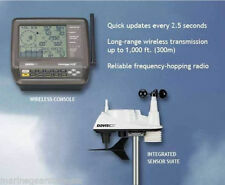 Press [ ] to increase the alarm value of high wind speed, press [-] to decrease the alarm value of high wind speed. Press [ ] to increase the alarm value rapidly, press [-] to decrease the alarm value rapidly. 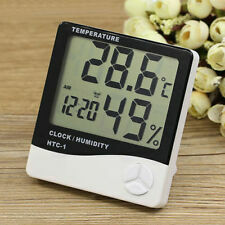 Digoo Wireless Touch Screen Weather Station Temperature Humidity Clock Sensor. 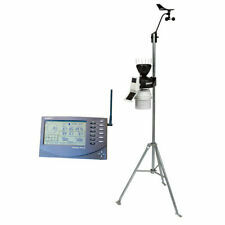 1 x Digoo DG-TH8888Pro Color Wireless Desk Weather Station. 1 x Digoo DG-TH8888ProWireless Outdoor Sensor(Power by 2xAAA Batteries). Humidity: 10% ~ 99% RH. Humidity resolution: 1% RH. Humidity Accuracy: ± 5% RH (40% ~ 80%). 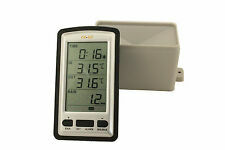 Record the maximum and minimum temperature. Temperature range: -50 ~ 70 ℃ (14 ~ 122 ° F). Temperature Resolution: 0.1 ℃ (0.1 ° F). Humidity Range: 0% - 100%. They are widely used in greenhouses and any other indoor / outdoor areas. 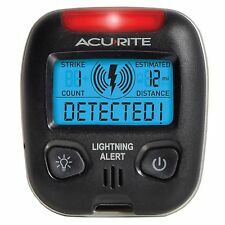 An easy to read water resistant unit that is accurate and durable. Material: Plastic. This 3 channel temperature sensor is compatible with many models of Oregon Scientific station including 12 month Oregon Scientific warranty. 3 channel sensor 433Mhz. temperature only. Red LED transmission light. Manufacturer - La Crosse Technology. Part Number - 327-1417. TESTED AND POWERS ON. Item could not be tested for full functionality. You will receive everything in the pictures. Reduced the traditional operation of repeatedly debugging. 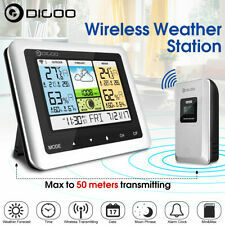 DIGOODG-EX001 WIFI APP Smart Weather Station. 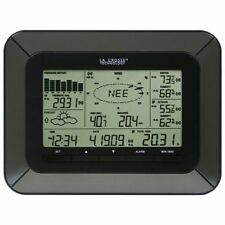 Model DG-EX001 WIFI APP Smart Weather Station. Color Screen |Color Block Partition |WIFI Remote Setting |Brightness Adjustable. Output signal: pulse signal output. Power consumption ≤0.2 W (pulse);. Start-up wind speed: 0.4-0.8 m/s. Connection mode: three-wire system. This set wind speed sensor is in small size, convenient to carry and easy for installation. Wind Speed (m/s). Clock style: 12-hour digital clock. Humidity resolution: 1%. B rand new. Due to the difference between different monitors, the picture may not reflect the actual color of the item. It was used widely. Humidity Accuracy: 5%. Humidity Display Resolution: 1% RH. 40 x 22.5mm. Temperature Range: -50°c ~ 70°c. Temperature Accuracy: 1°C. 48 x 28.5 x 15.2mm. 46 x 27 x 13.5mm. Temperature Accuracy: ±1°C. LCD display. Temperature Range: -50°c ~ 70°c. Humidity Accuracy: ±5%. USB Led Light. LED CEILING LIGHT. Led Candle Light. Led Corn Light. Material: alloy aluminum outer ring and alloy aluminum bottom case, PVC film dial, aluminum pointer, plastic lens. Color:Appearance is Black Silver, Backlight is Blue Light. Digital temperature display. Power by 2 AG10 cell battery(Not included). Category 1. Category 2. Blue back light maintaining 5 seconds. Temperature Test Range: 0-60 degrees. Item color may show slight aberration due to different shooting light and monitor display. High-end Electronic-INK screen, high visibility of the full perspective. Humidity range: 10%～99%. Humidity display resolution :1%. Humidity sampling period: 10s. Temperature range: -50~ 70°C. Temperature display resolution: 0.1°C. Rate (item arrived). United Kingdom. Color: We send it at random. Simple construction with 3M sticker, easy to fix at any place you like. Shell material: steel. Glass mirror surface, anti-scratch, high transparency with durability. Mirror surface material: glass. Back cover material: ABS. 1 x Digoo DG-TH8805 Wireless Outdoor Sensor (Power by 2xAAA Batteries). 1 x Digoo DG-TH8805 Full English User Manual. 1 x Digoo DG-TH8805 Special USB Power Cable (Simply 5V 1A Required). In/Outdoor temperature and humidity trend. Clock style: 12-hour digital clock. Humidity resolution: 1%. 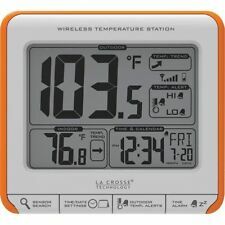 The indoor temperature and humidity display. Relative Humidity Test Range: 10% - 99%. Humidity Resolution: 1%. Display: LCD (Three and a Half). Default celsius temperature. Size: 4.7cm x 2.7cm x 1.3cm/1.85" x 1.06"x 0.51" (Approx.). 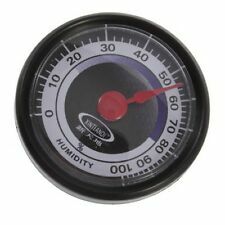 New, high-quality Shape: bell Temperature measurement range: -30C to 50C Humidity measuring range: 20% ~ 100% relative humidity Size: diameter is about 7.5cm With a hook hole, with the base (base adjustable in different positions) 1 X Thermometer hygrometer 1 X Base Temperature ± 1, Humidity�� 5 Brand Unbranded MPN Does not apply UPC 4894462080405 EAN Does not apply EAN Does not apply. 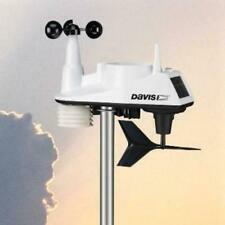 Oregon Scientific THGN801 Temperature/Humidity Sensor for the WMR Series of Weather Stations. Preset to channel 1 for use a the primary sensor on the above stations. Includes batteries and mounting arm for easy installation. This desktop clock combines alarm clock & weather station in one. Wireless Sensor Transmission: the weather station receives signal from external sensor, maximum 60m transmission distance in open area. Net weight: 31g. Colors: White, blue, yellow. Large, clear LCD display. button batteries NOT included! Color:Appearance is Black Silver, Backlight is Blue Light. Digital temperature display. Blue back light maintaining 5 seconds. If you don't receive. All products are quality checked. They are new and in good. Humidity Display Resolution: 1% RH. Humidity Accuracy: ±5%. LCD display. Temperature Range: -50°c ~ 70°c. Temperature Accuracy: ±1°C. Note: Due to the light and screen difference, the item's color may be slightly different from the pictures. Net weight: 31g. Easy to read. This item must match for Xiaomi multifunctional gateway to use. 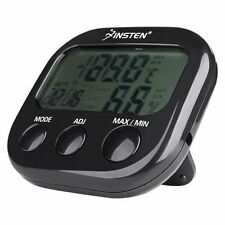 Automatic alarm if the temperature and humidity is abnormal. And it can also link with other products make them work when reach certain temperature or humidity.